February is Black History Month, a time to recognize the contributions of African Americans to U.S. history. African Americans have added so much to the transportation industry, from the Tuskegee Air Squadron that was called into service during World War II, to Charles Brooks who invented the self-propelled street sweeper, to Elbert Robinson who refined the electric railway trolley. Here at PennDOT, we're not only celebrating those contributions to the world of yesterday — we're also looking onward to solve future transportation challenges. I love this quote from Dr. Mae Jemison, an American engineer, physician, and the first African American woman to travel in space. She said, "Never be limited by other people's limited imaginations." To that end, we need people of all different backgrounds​ at the table, creating innovative solutions to address new transportation needs that truly help the community. One way we are doing this is through our Mentoring Program for entry-level positions, which sets up new staff with the professional skills needed for growth and success. The overall goal is to encourage diversity in the PennDOT workforce. Our current class is made up of 25 percent minority and 48 percent female participants, and we look forward to further balancing the tables of opportunity. Whether inside the doors of PennDOT or across the state, diversity is key to the overall success of the agency. 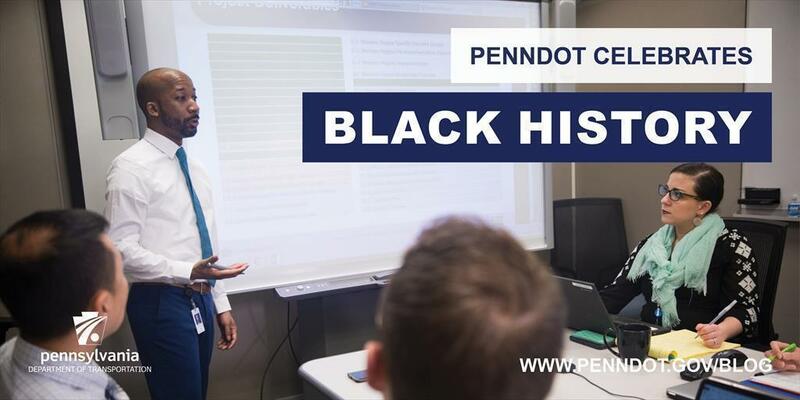 That is why we celebrate Black History Month at PennDOT, and that is why we will continue aiming to make diversity a focus at the agency.